Kumaraswamy who was infuriated with these said that Congress should sort out its own issues. Pointing towards a possible rift between Congress and JD(S), Karnataka Chief Minister, H.D Kumaraswamy alleged that a few leaders from Congress are creating hurdles for JD(S) candidates. Congress and JD(S) are in an alliance in Karnataka. 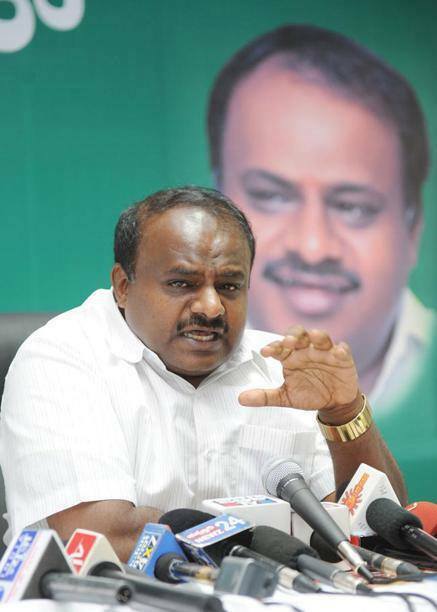 Kumaraswamy who was infuriated with these said that Congress should sort out its own issues. “We all are fighting unitedly but a few people are unnecessarily creating a disturbance for their personal gains,” Kumaraswamy told ANI. “Few people in Congress tried to create speed breakers for my candidates. I won’t let Janata Dal (Secular) workers do the same. The country is important to me. No matter how much they backstab my candidates, JD( S) workers and I won’t do the same,” he said. Of the 28 seats, Congress will be contesting from 20 and JD(S) from 8 seats. In the 2014 Lok Sabha elections, BJP had won 17 seats in Karnataka, Congress got nine seats while JD( S) managed to get two seats. Karnataka will go to polls during the second and third phases of the seven-stage elections on April 18 and April 23, respectively. The counting of votes will be held on May 23.